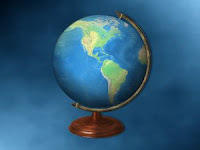 A turning globe on stand zooms into view, followed by a progressive display of maps that pan and zoom to your final destination of the trip. This style can be applied to a map of a whole continent up to a very small location on which you want to focus. The globe turns and bounces into view like a ball, then displays a local map which zooms to the desired location of your trip. The duration of this style is shorter than the first one, and it can be applied several times in the same travel show, for each separate location. - Two Slide Styles - for Widescreen and for Standard TV formats. - Example/Template Shows (show snippet) for Widescreen and Standard TV formats. The template is given to you in the format of a regular show. It includes all the needed graphic files, as well as the pictures and maps that were used in the demonstration. - A step by step Tutorial that will allow you to easily adjust these styles to your own show. thx4sharing,that's what I was looking for. But in your show you were focussing on Israel and Washington DC,can I use it for another country? Yes, you can use it on any country. The tutorial that is included will guide you on how to adapt the styles/template to your own needs. I can pinpoint a precise area? Yes, just like in my demo. What maps do you include or do I have to provide my own maps? As mentioned above, the styles are based on a WORLD map.